Leaders of the Nazi regime had children and grandchildren. How do those descendants deal with the legacies that their ancestors left them? In the documentary Hitler's Children (2011), director Chanoch Ze'evi, a descendant of Holocaust survivors, spoke with direct descendants and other relatives of powerful Nazi figures about how they have reconciled their ancestors' history with their daily lives. 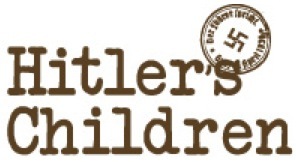 Hitler's Children will be shown at the Yerba Buena Center for the Arts, 701 Mission Street, San Francisco, on Friday, March 22, and Saturday, March 23, at 7:30 p.m. and on Sunday, March 24, at 2:00 p.m. The screenings are cosponsored by the San Francisco Jewish Film Festival. Yerba Buena Center for the Arts is close to the Powell Street and Montgomery Street BART and Muni stations. More information about the screenings, including prices, can be found at http://www.ybca.org/hitlers-children. I'm curious about the labels you set for this post. Do you know of any of the descendants of Goering or Himmler are part of this documentary? Not descendants, but according to the information on imdb.com, two of the interviewees are the great-niece of Goering and the great-niece of Himmler. The other interviewees are the grandson of Rudolf Hoess, the son of Hans Frank, and the daughter of Amon Goeth.